Remove unwanted hair from your face or body painlessly. Using the latest technology for skin enhancement and results. Introducing Super Hair Removal (SHR). You no longer have to fear reducing your hair growth through painful laser treatments. SHR is the latest technology combining IPL and Radio Frequency. The result = Painless hair removal. No more shaving or waxing saving you time. Please phone or text on 022 060 8118. If you have been considering IPL but you’re not sure it’s right for you let us help. Free consultations are available at no charge, try our service with a small test patch done at no charge. At Hamilton IPL & Beauty, we use the latest SHR (Super Hair Removal) equipment combining IPL with laser. Totally painless with excellent results. 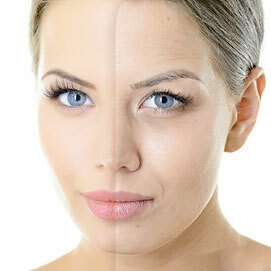 We use the latest technology which stimulates collagen and elastin targeting fine lines and wrinkles. This comes with a free consultation, love to discuss with you today. We are able to reduce pigmentation. 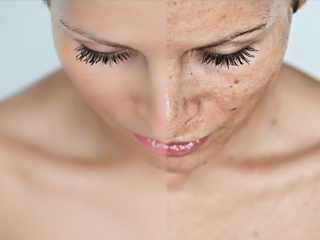 Contact us for a consultation and to see examples of how similar treatments have reduced pigmentation for others.